Topsail Island Rentals, Real Estate Services and Property Management are specialites of Ward Realty, the Original Developers of Topsail Island. Topsail Island Vacation Rentals from Ward Realty are located throughout Surf City, Topsail Beach and North Topsail Beach. We can help you find the perfect rental cottage for your family's needs and wants. Search for Vacation Rentals in Topsail Island NC here by using our advanced search options online. Choose rental homes by a specific amenity, location, and more! Search here for Featured Topsail Vacation Rentals that are new to the Ward Realty rental program, recently renovated or remodeled, or may be available for your next family vacation. Be sure to check out these Topsail Island vacation rental videos to help you decide which home will be perfect for your family. New videos will be added throughout the year, so check back often! Occasionally, our homeowners offer special rentals surf city topsail island. Check here often! Due to a cancellation, one of your dream Topsail Island beach home rentals may now be available for your week. Check here often! Explore the complete list of Ward Realty vacation rentals. All sizes, locations, amenities, and prices for you to hand-pick for your well-deserved Topsail Island vacation. This page about rentals on Topsail Island includes information on the rental seasons, what to bring, where to check-in and what is provided at each property. Be sure to read this important information before you reserve and again before you check-in. We want you to have the best Topsail Island vacation experience as possible. Read the rules and regulations concerning lodging in Topsail Island NC carefully. Protect your Topsail vacation experience with the Property Protection Plan for any and all Topsail Island realty rentals. Topsail Island rental cottage owners can log in here to view information about their rental property or to make owner reservations. Are you interested in learning more about Ward Realty's Topsail Island NC rental program? Do you want to join our team as a homeowner? We would love to hear from you. Find out everything there is to know about Topsail Island NC Real Estate from Ward Realty. Let us help you find the perfect getaway home or rental property. Check out our featured Topsail Island Real Estate listings currently for sale. Topsail Island is a great place to buy a condo, investment property or vacation rental! Search all Topsail Island homes for sale in the current up to date market. Ward Realty's brokers can show you any property for sale on Topsail Island NC or surrounding areas. Of all the real estate offices in Topsail Island NC, Ward Realty has the best properties for sale. Search here for your dream vacation home or investment property. Meet Ward Realty's real estate agents in Topsail North Carolina. Let our experienced sales agents help discover or sell the best beach getaway or vacation rental property on the coast for you. Do you need know how much house you can afford? Need other tips on buying and selling real estate in Topsail Island? Find out some of our tools of the Topsail Island realtor trade. Are you interested in living on Topsail Island? Ward Realty offers many Long Term Rentals or month-to-month rentals on and near Topsail Island so you don't have to leave. 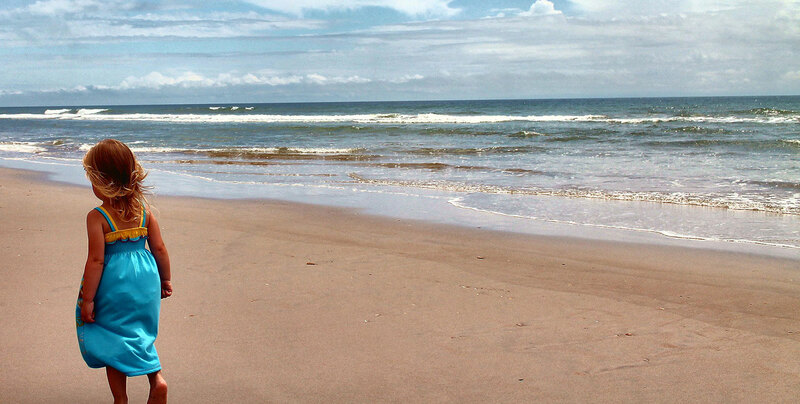 Learn about the best family beach destination on the Carolina coast, Topsail Island NC here! Read about Topsail Island history and current events for Surf City and Topsail Beach. Discover the Area Attractions in Topsail Island while vacationing to the beaches of North Carolina. Check here for things to see and do. Find Restaurants in Topsail Island NC that will please very palate and budget. Look for great local dining spots in Surf City and Topsail Beach here. Find things to do in topsail island nc like shopping for souvenirs, groceries and much more. Find all of your vacation needs here! Are you interested in having a Topsail Island wedding? Check out this comprehensive list of area vendors and suppliers for your most special occassions. Get directions to your specific topsail island beach address and the Ward Realty office here. View Ward Realty vacation rentals on this intereactive map of Topsail Island NC. Select from a Surf City/Topsail Beach map or a Surf City/North Topsail Beach map to find rental homes that are close together for your next family vacation. Topsail Island NC Weather is absolutely wonderful. Warm ocean waters in the summer for swimming and cool October nights for fishing. Real estate Topsail Island, N.C services from Ward Realty are unmatched. To inquire about selling your home or buying your dream getaway, contact our sales department here. Before, during or after your Topsail NC vacation, get contact information for Ward Realty here. Vacation rentals on Topsail Island NC from Ward Realty provide a great North Carolina beach escape. Find rental contact information here. Topsail Island NC vacation rentals from Ward Realty strive to make your beach vacation a memorable escape. Learn about us here!